Mary Erdman and George Beltz wedding at the St. Pauls Evangelical and Reformed Church. 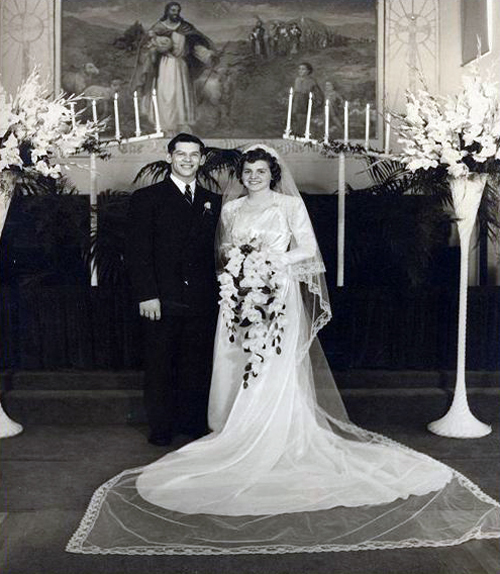 Mary Erdman and George Beltz were married in the St. Pauls church on July 13, 1941. Mary is the daughter of Jacob and Amalia (Mollie) Erdman. Photograph courtesy of Russ Erdman. Wedding date provided by David Beltz, the son of Mary and George Beltz.